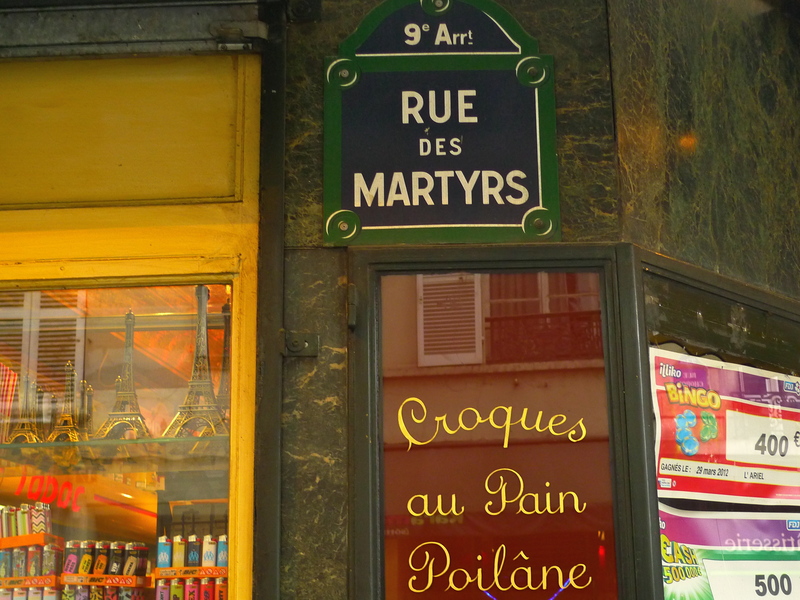 LAST SATURDAY I headed off for the rue des Martyrs in the 9th arrondissement to record a soundwalk to add to my archive of Paris Soundscapes. As is often the case, things didn’t turn out quite as I’d planned. 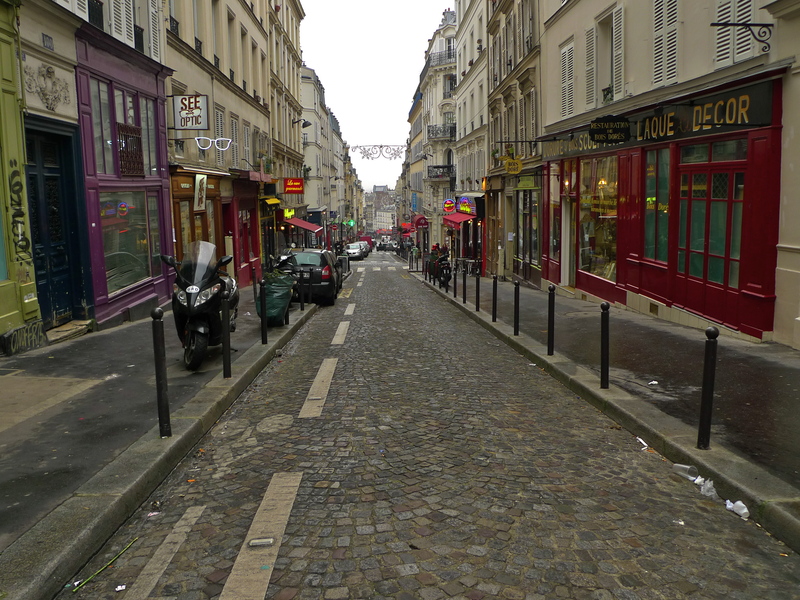 The rue des Martyrs stretches for a little under 1km from rue Notre-Dame-de-Lorette to rue Lamartine in Montmartre. 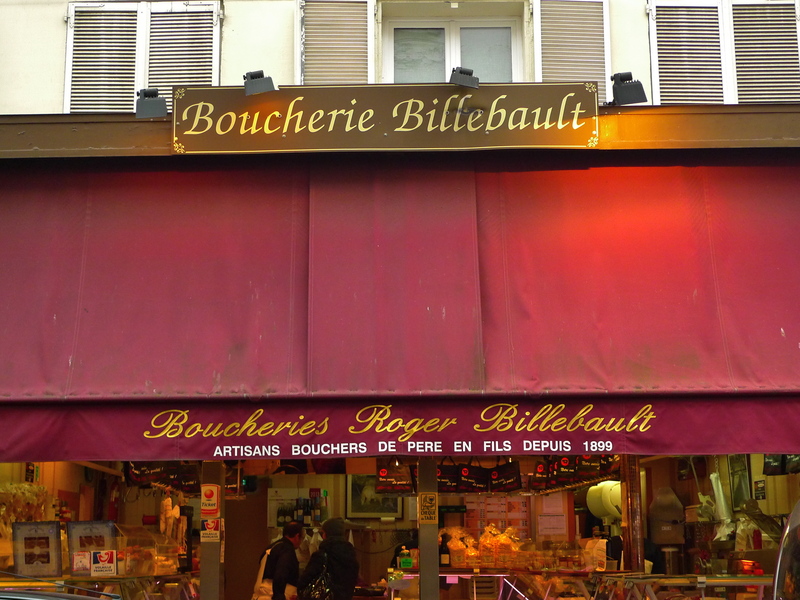 The street has had several names during its lifetime beginning with rue des Porcherons, then rue des Martyrs followed by rue du Champ de Repos and then finally, from 1868, once again rue des Martyrs. 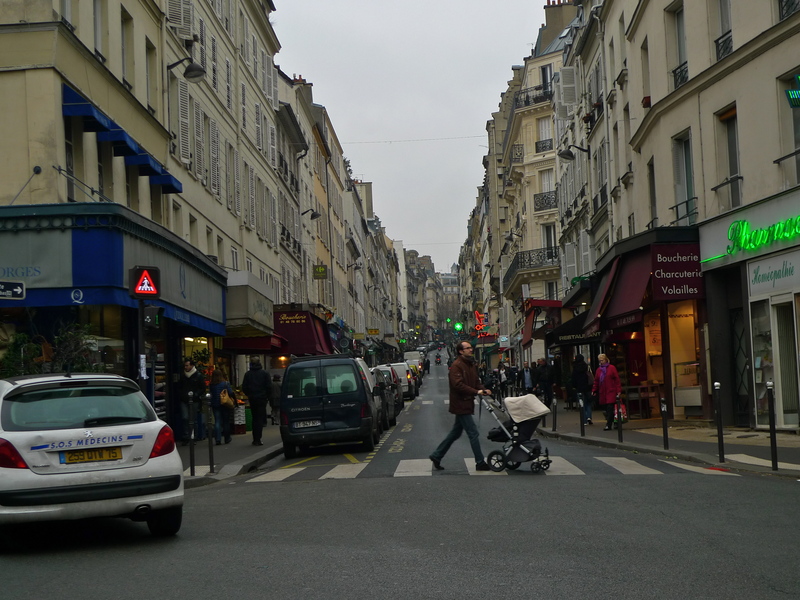 I decided to make life easier by beginning my soundwalk at the Montmartre end, which is the street’s highest point and so everything would be downhill from there. 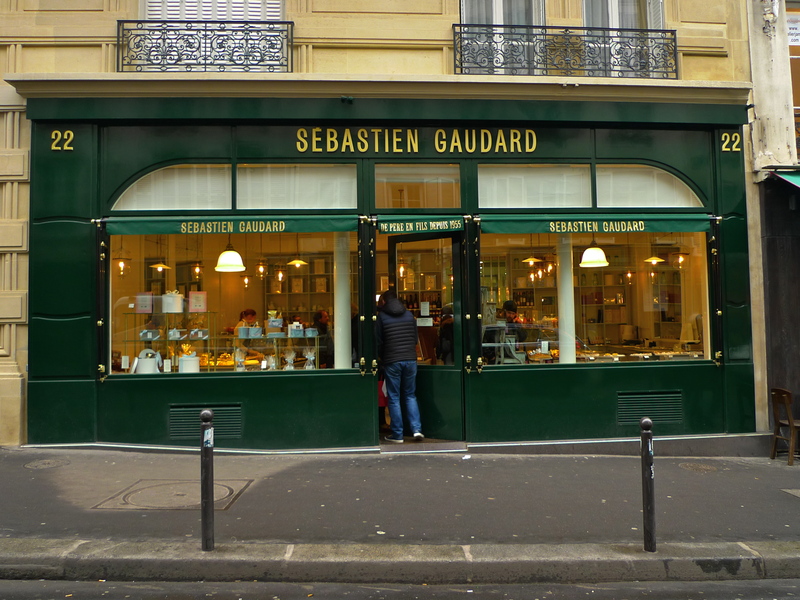 When I reached the top of the street I realised that the Place des Abbesses was just round the corner so, before embarking on my task for the day and since I hadn’t been to the Place des Abbesses for a while, I thought I’d go and take a look. It proved to be a most fortuitous diversion. 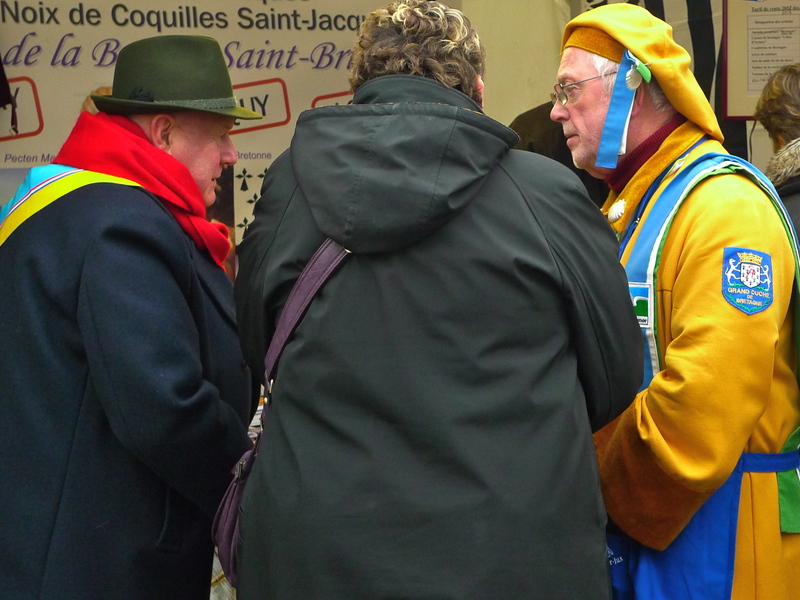 I discovered a Bretagne weekend in full flow the centrepiece of which was la Fête de la coquille Saint-Jacques, sponsored by le département des Côtes-d’Armor. 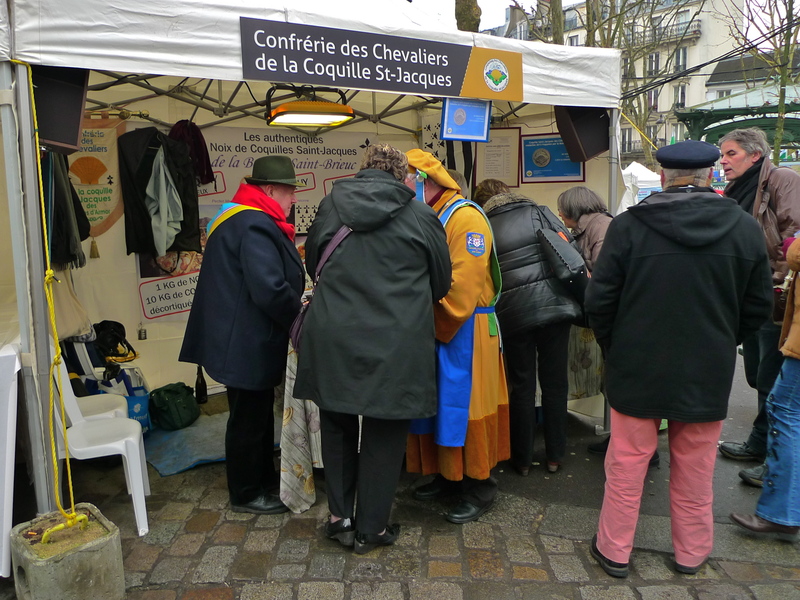 A dozen or so stalls were selling all things Bretagne from crêpes and craquants au beurre salé to regional wines and wonderful coquille Saint-Jacques, freshly brought from port d’Erquy. I couldn’t resist stopping to savour the atmosphere and taste a selection of the fare on offer. And then I came upon a complete surprise, something to make a sound hunter’s day complete. 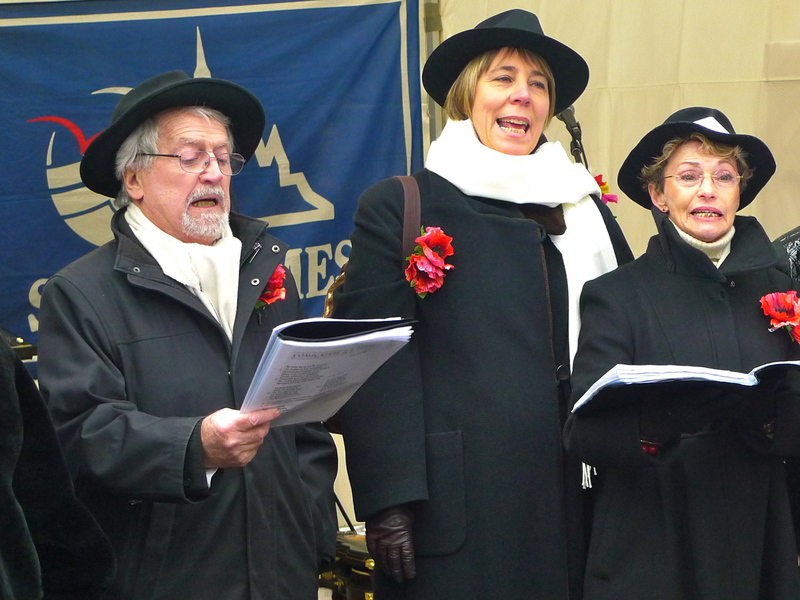 A group of singers were assembled and as I came upon them they began to sing a French song I particularly like, Le Gamin de Paris. 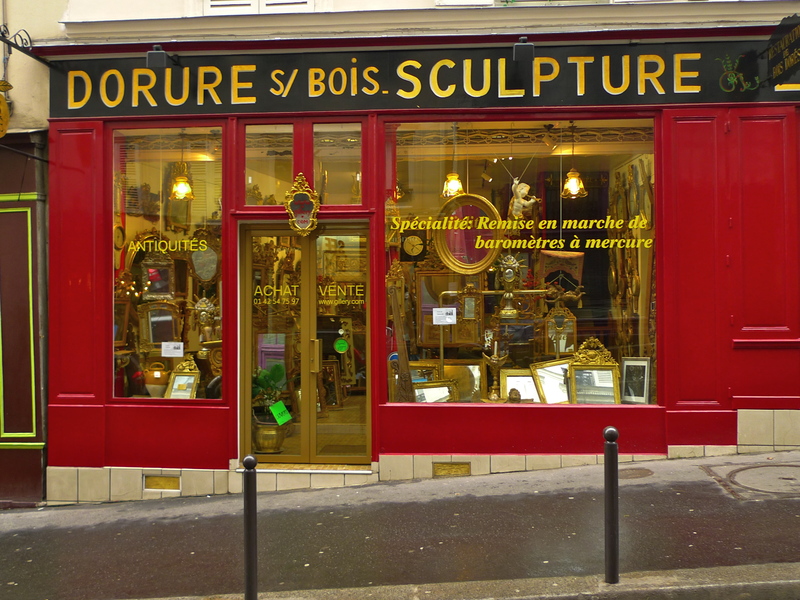 Adrien Marès composed the music for Le Gamin de Paris and Mick Micheyl who, contrary to what you might think, is in fact Paulette Michey, a very popular French singer who later in life became a respected sculptor, wrote the words. ‘… the spirit of Paris that dawdles, with pants that are too long for him, hands always in his pockets, who takes off at the first sight of a kepi’ (a French policeman). Whenever I hear this song I am instantly transported to the black & white world of Robert Doisneau and the other great French street photographers who captured so brilliantly the atmosphere upon which this song is based. 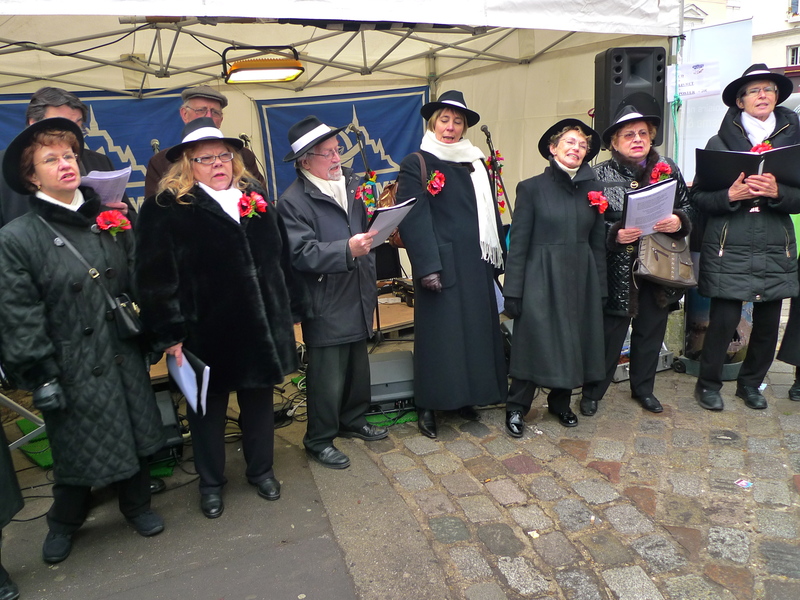 This particular rendition was unexpectedly, but not unpleasantly, accompanied by the bells of the Église Saint Jean-de-Montmartre which made a dramatic intervention but which I think added a delicious extra atmosphere. 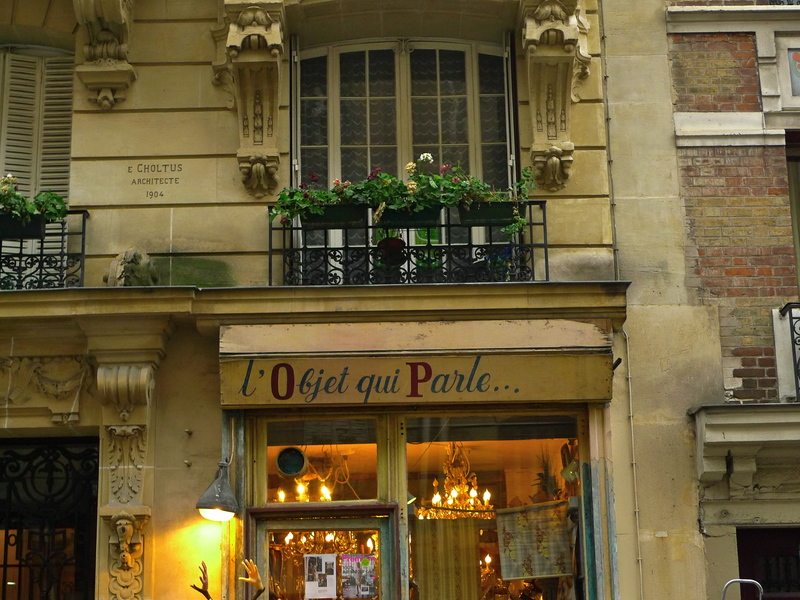 And so, awash with the spirit of Bretagne and the black and white world of 1950’s Paris, it was back to the present day, the rue des Martyrs and a soundwalk along the full length of the street capturing the everyday mélange of sounds that I always find so fascinating. 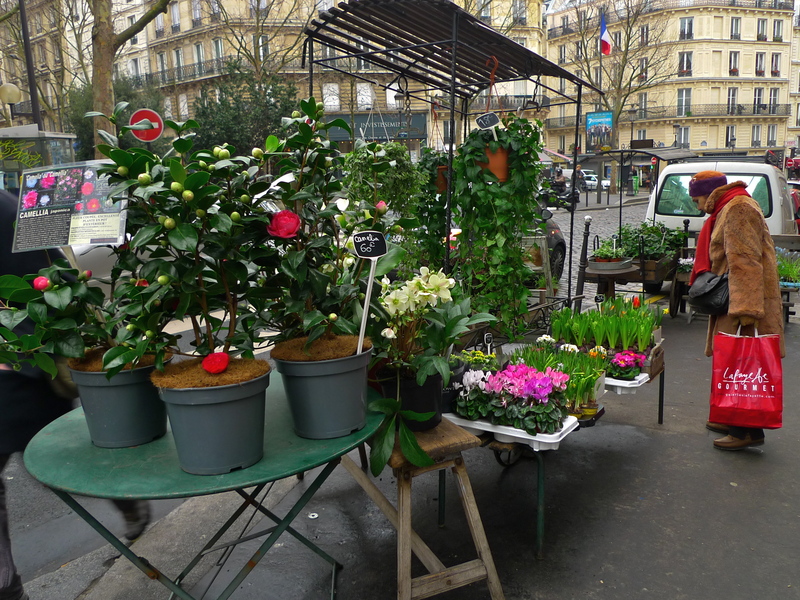 I ARRIVED AT THE METRO station Abbesses by travelling the short, one stop from the neighbouring station, Pigalle, on Line 12. Thirty-six metres below ground, buried in the former Plaster-of-Paris mines of Montmartre, Abbesses is one of the deepest stations on the Paris Metro network – so deep that a lift is provided to carry passengers to the surface. For the more adventurous, it’s possible to do it the hard way by climbing the long, winding, seemingly never-ending, staircase. 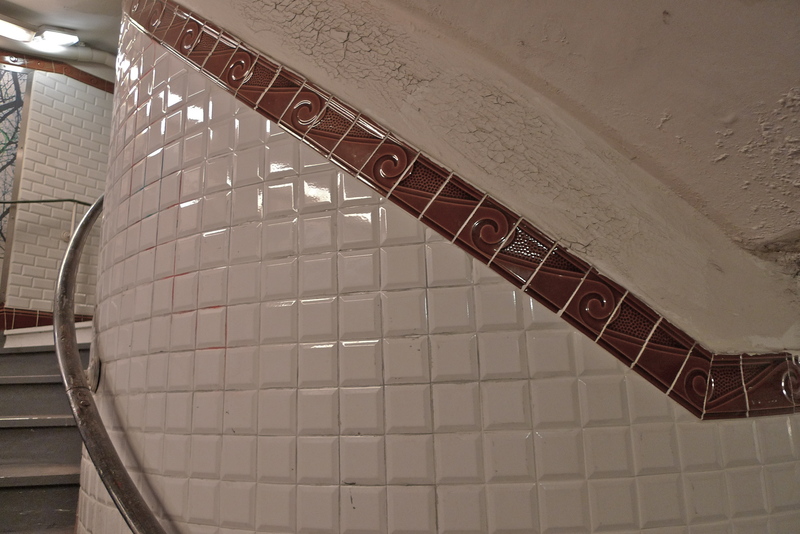 The effort does have its rewards, like the original tiles lining the walls of the stairwell. Whether ascending by the lift or the stairs, the rewards waiting upon reaching the surface are certainly worth it. This has to be the most photographed Metro entrance in the world. 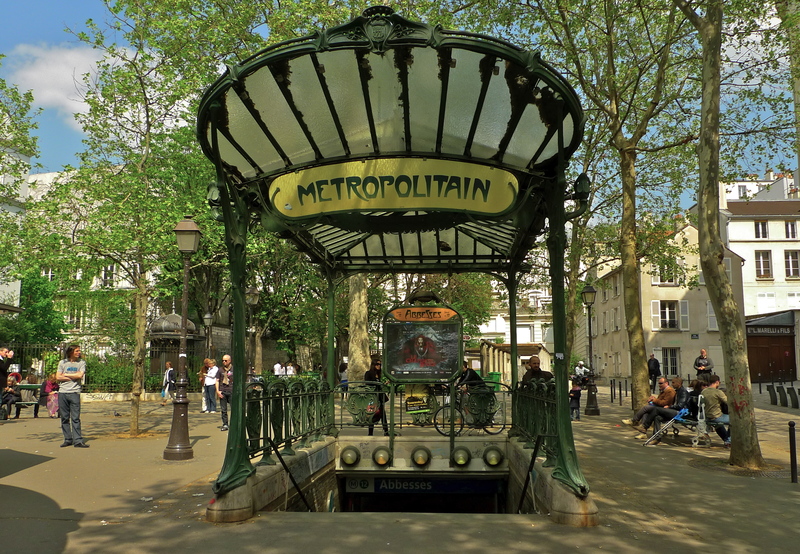 It’s one of Hector Guimard’s originals and one of only three that are left – the others being at Porte Dauphine and Place Sainte-Opportune. The Abbesses entrance was originally the entrance to the Hôtel de Ville station but it was moved to the Place des Abbesses in 1970. The Place des Abbesses takes its name from the former Abbey of the Dames des Abbesses founded as far back as 1133 by Adelaide of Savoy, the wife of Louis VI. The reputation of the abbey – and of the Abbesses for that matter – waxed and waned over the years but it managed to survive in one form or another until the French Revolution when it was finally suppressed. Madame de Montmorency-Laval was the last abbess and she came to a sticky end – she was sent to the guillotine in 1794! If Madame de Montmorency-Laval were with us today, what would she find on the site of her former home? She would find that there are still ecclesiastical references. The Crypt of the Martyrium, which she would have known well, is the chapel built on the site where, allegedly, Denis, Bishop of Lutetia, (later Saint Denis) was decapitated in 250AD. 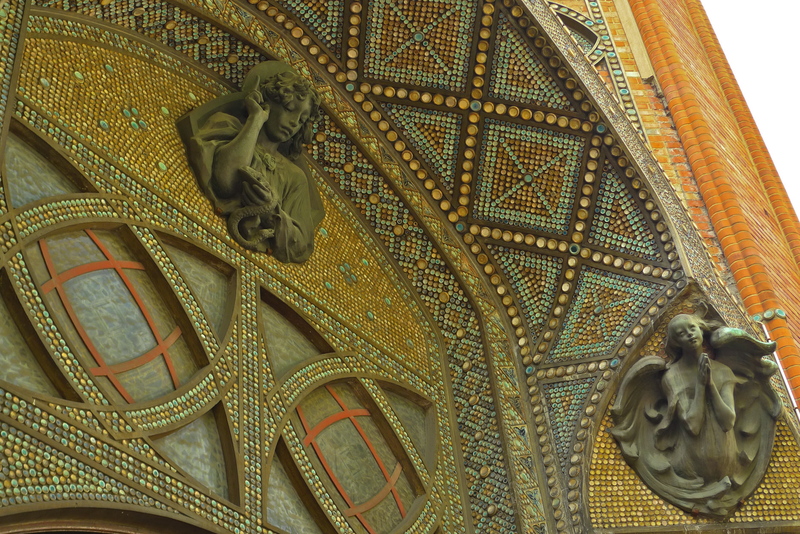 She would be pleased to know that the chapel is still alive – but only open to the public on Friday afternoons. She would find the Eglise-Saint Jean-de-Montmartre, a more recent ecclesiastical structure, dedicated to Saint John the Evangelist in 1904. She would be very familiar with the cobblestones in the Place des Abbesses and I like to think that she would approve of the rather delicate sound of traffic slowly rumbling over the pavé which has a curiously romantic feel to it. 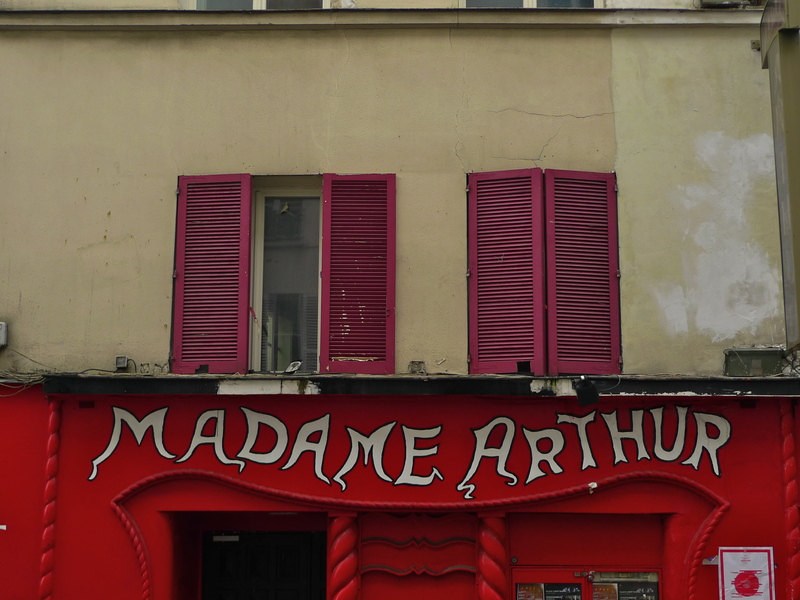 She would no doubt find the sound of today’s street musicians in the Place des Abbesses curious but, since music was an integral part of abbey life, maybe she would not entirely disapprove. 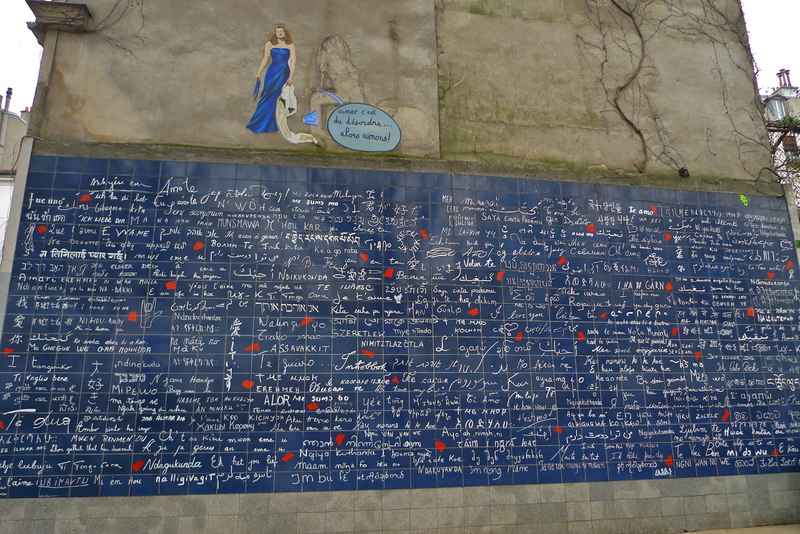 I like to think she would also approve of the contemporary creation – the “I Love You” wall – a wall of deep blue glazed tiles with dashes of pink inscribed with the words “I Love You” in over three hundred languages. All in all, I think Madame de Montmorency-Laval, like the flocks of tourists who visit each year, would be well pleased with today’s Place des Abbesses.